Not unlike Jason Vorhees, copyrights can last a long time, living even after you thought they were dead. And like Jason, copyrights can return. A recent lawsuit filed by the scriptwriter of the first Friday the 13th movie has the potential to affect the copyright ownership in the film industry and other entertainment industries, with the possibility of creative works returning to their original authors. The case is Horror, Inc. v. Victor Miller, in the District of Connecticut, brought by the film studio against the original screenwriter, who is seeking to retain his copyright and exploit the rights on his own. Mr. Miller is seeking to terminate his transfer to the film studio 35 years after he granted the rights, as permitted under the Copyright Act. The film studio, conversely, seeks a judgment that the film was contributed as a “work for hire”, which would mean that the film studio owns it for the life of the copyright and Mr. Miller cannot get it back. In drafting the Copyright Act of 1976 (which took effect on January 1, 1978), Congress was concerned with authors who had fully assigned their rights to other parties for relatively small amounts of money, and then see their works become successful with little opportunity for authors to see the fruits of their own success. So Congress created an inalienable right of authors to recapture that copyright 35 years after it granted the right to another party. The right, embodied in 17 U.S.C. § 203, cannot be waived by contract. That is, a contractual provision requiring an author not to seek termination under the Copyright Act is unenforceable. With the termination right, authors can serve notice on the assignees and then recapture the rights to exploit as they see fit, or wield a valuable bargaining tool with a company to renegotiate a contract. The latter is likely the case when Michael Jackson’s estate bargained with Sony Corporation for a new, lucrative contract, even though a standard recording contract provides that an artist signs away his rights “in perpetuity.” But the right to terminate a transfer has a few catches. One of the most hotly contested of them is the exception that in the case of a “work made for hire” or “work for hire”, the assigning author does not have a right to terminate. The company for whom it was created is the statutory “author”, and the company to whom the work was assigned will own it for the life of the copyright if the contracted says so. There are two ways a creator can be a work for hire. One is an employee working within the scope of his or her employment. In a copyright case between a sculptor and a company that contracted him, the Supreme Court warned to interpret this exception narrowly and strictly. The other as a “specially ordered or commissioned” work, which would apply to independent contractors. This exception requires a writing designating the work as a work for hire, signed by the party giving up her rights. There are also a finite number of categories which may qualify as a specially ordered or commissioned work. These include audiovisual works and contributions to collective works, but not literary works. That brings us to the complaint against Victor Miller. 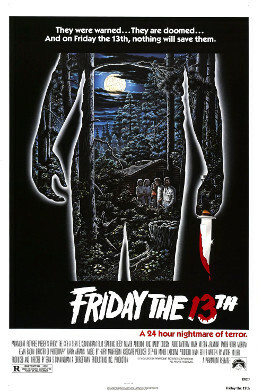 Friday the 13th, is of course, a long running series of horror films featuring psychotic goalie-masked murderer Jason Voorhees. The first film, penned by Miller, was about a group of naughty camp counselors (including a young Kevin Bacon) being murdered by a suspicious figure who, many might not remember, was someone other than Jason. According to the complaint, Mr. Miller sent a notice to the company holding the rights to the original Friday the 13th script, seeking termination of the transfer. The studio then filed this action for a “declaratory judgment” that the script is a work for hire, and thus Mr. Miller has no rights to it. How this will play out is uncertain based on what we know from the studio’s complaint. According to the complaint, Mr. Miller was commissioned to write a complete, finished screenplay. It alleges that the company provided “direct supervision” of his writing, which is the company’s way of trying to establish that it was a collaborative work. According the complaint, the parties executed a “standard short form agreement”. That is a claim that has implications for so many other authors, because if the contract was an industry standard, a ruling in this case would affect the potential termination rights of thousands of screenwriters. The contract, attached the complaint, is titled Writer’s Flat Deal Contract and is referred to as an “EMPLOYMENT AGREEMENT,” but those words on their on their with little effect on whether Mr. Miller was an employee working within the scope of his employment. More importantly, the words “work for hire” are nowhere on this document, meaning that the studio must rely on the employee definition of work for hire. To support its position that Mr. Miller is an employee working within the scope of his employment, the complaint states that it is governed by the Writers Guild of America 1977 Theatrical Basic Agreement. The complaint further alleges upon their information and belief, that under this agreement, which incorporates the WGA Agreement, Mr. Miller collected pension, health, and welfare benefits. The WGA Agreement 1977 Agreement is not attached the complaint. If the parties do not settle early, this will case be watched carefully by many entertainment industries. Mark H. Jaffe is a partner at Tor Ekeland, P.C., where his practice includes copyright. He has assisted a 90’s rock band with recovering its rights from its record companies. His article on termination rights, Defusing the Time Bomb Once Again: Determining Authorship in a Sounds Recording won the 2007 Seton Award from the Copyright Society of the U.S.A. A babysitter let Mark watch Friday the 13th when he was young, and he doesn’t like to admit that the lake scene at the end terrified him. For informational purposes only. Not legal advice. Tor Ekeland, P.C. does not represent a party in this case.